This entry was posted in Canada Canada Immigration and tagged Canada Visa work permit on May 20, 2015 by Blog Author. Every year, numerous number of individuals across the world migrate to Maple Leaf nation for employment. Canada continues to top the charts for top destinations for immigrants who aspire to work as well as reside in a foreign destination. The country has geared up to open its doors for skilled overseas nationals to work and reside in Canada, which in turn boosts the country’s economy. An overseas national should obtain Canada work permit in order to migrate and work in Canada legally. What is Canada Work permit? 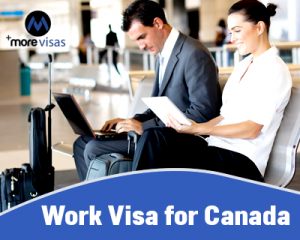 Work visa for Canada is a temporary resident visa that allows overseas nationals to live and work in Canada for a certain period of time or till the employment offer is intact. With ample employment opportunities and stable economy, Canada has become the most sought-after destination for immigration and most people from all over the world especially from India are showing interest to apply for Canada work visa. Canada immigration is a significant step for those who want to make their overseas career dream come true. Canada is a great opportunity for those who want to immigrate overseas and visit Canada for better career prospects. If you are also one among those aspiring to work in Canada, then hurry up! And apply work visa for Canada. If you want to apply Canada Work Visa, fill out our Enquiry Form, so our visa expert will get back to you.